No more crying while chopping onions with this all new Axe Onion and vegetable chopper! 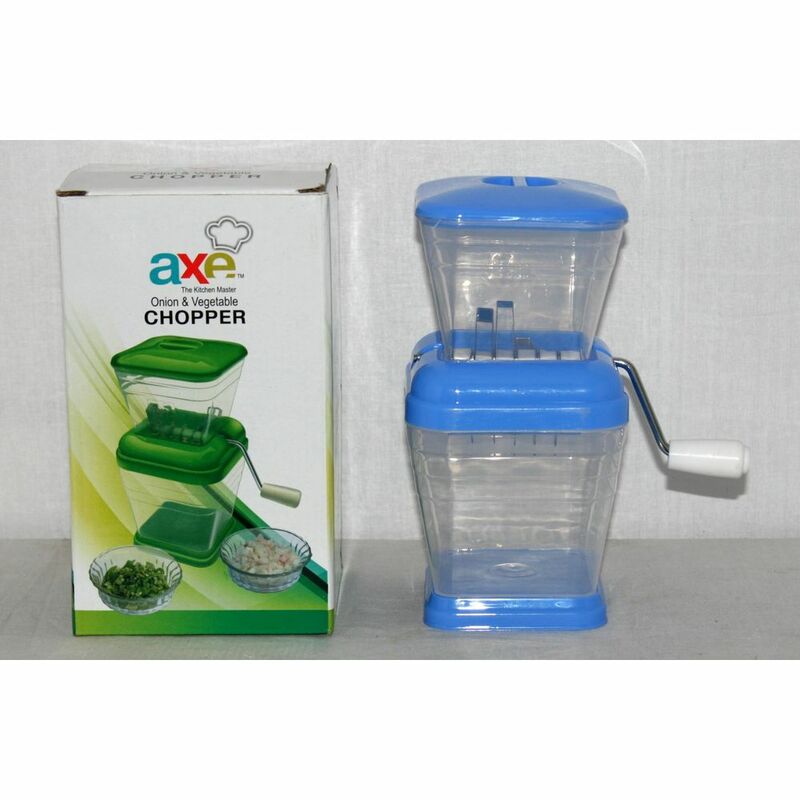 This plastic device is an ideal option to cut any vegetables such as onions, capsicum, chili into finely chopped even pieces. It is specially designed to provide you best results with least efforts making it the most comfortable and easy to use hand operated machine. 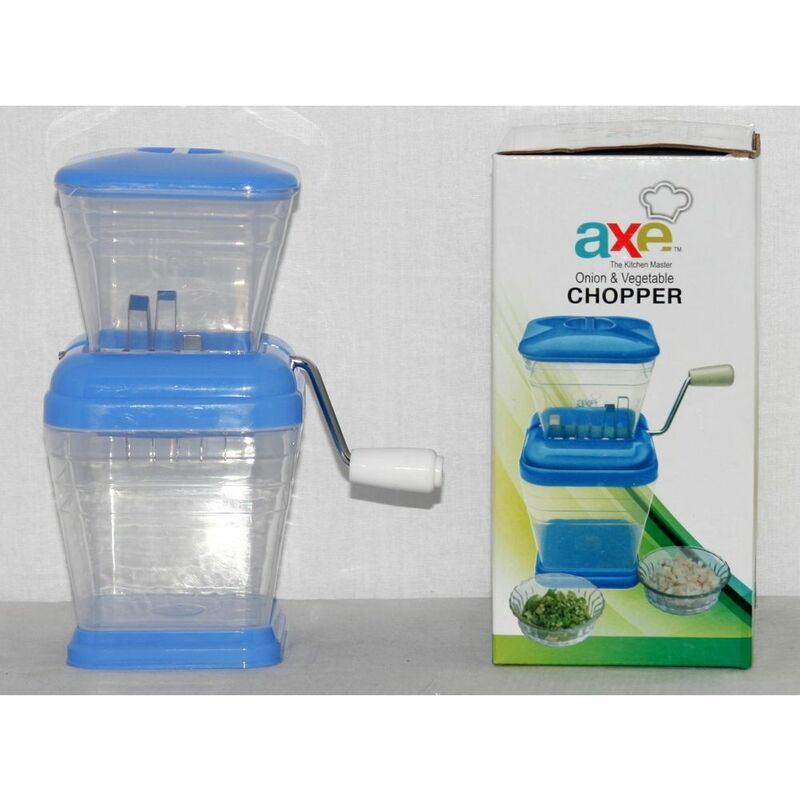 Axe Onion and vegetable chopper is made out of high grade plastic material on the outer side and thick stainless blade on the inside.